Olivier Award-winner Iwan Rheon (Game of Thrones’ Ramsay Bolton, Misfits) stars in the West End premiere of Dawn King’s award-winning thriller. A darkly comic, spell-binding drama, Foxfinder, directed by Rachel O’Riordan (Olivier Award for Killology - Royal Court), asks how far belief can take you. Access description: 15cm step into foyer. Box Office to left. 26 steps down to Stalls. 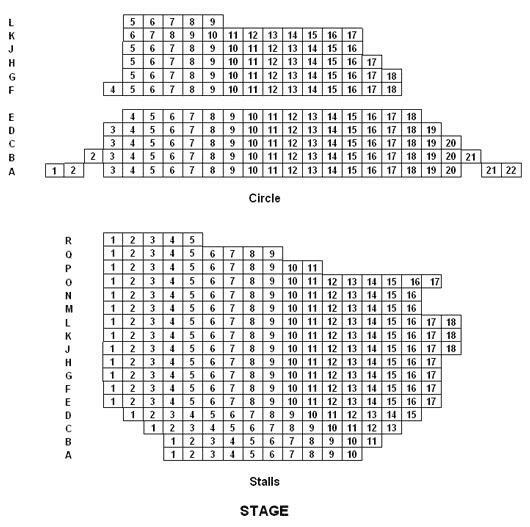 5 steps up to Dress Circle with 3 steep steps between rows. Staircases have highlights and handrails on both sides. Venue open 30 mins before performance. Sound Amplification: Induction Loop Necklace: suitable for persons wearing a hearing aid. The induction loop is worn around the neck and the hearing aid needs to be switched to the ‘T’ setting. The loop has adjustable volume control. Headset: This device amplifies the sound through earpieces similar to headphones. Suitable for persons without hearing aids. Guide Dogs: Guide dogs allowed inside auditorium – please ask for an aisle seat or row F in the Circle. Dogs can also be looked after by theatre staff with prior arrangement. Disabled Access: No spaces for wheelchair users. Transfer seating for 2 people is possible to row F in the Circle (up 5 steps). Toilets: No adapted toilets. Regular toilets on various levels.